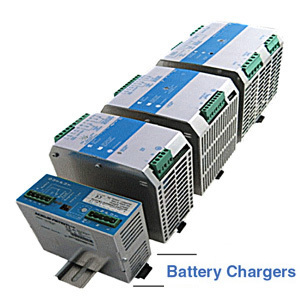 With the CB Battery Charger Line, Altech offers a highly reliable battery management solution. 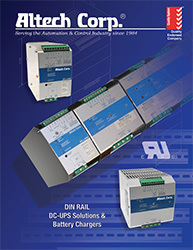 Operating at single phase Input Voltages of 115-230-277 VAC, the devices supply an Output of 12VDC and up to 35A or 24VDC and up to 20A. Equipped with microcontrollers, the CB line offers fully automated multi-stage charging that will expand the batterie's life significantly. Several diagnostic and monitoring features ensure easy handling and a high amount of transparency during daily operation. Altech's CB line battery chargers are based on the switching technology which allows much higher efficiency as well as smaller and lighter devices. Aditionally, several standard safety and protection features ensure safe installation and operation.